The first thing that you'll need to do is to create an "New rule". 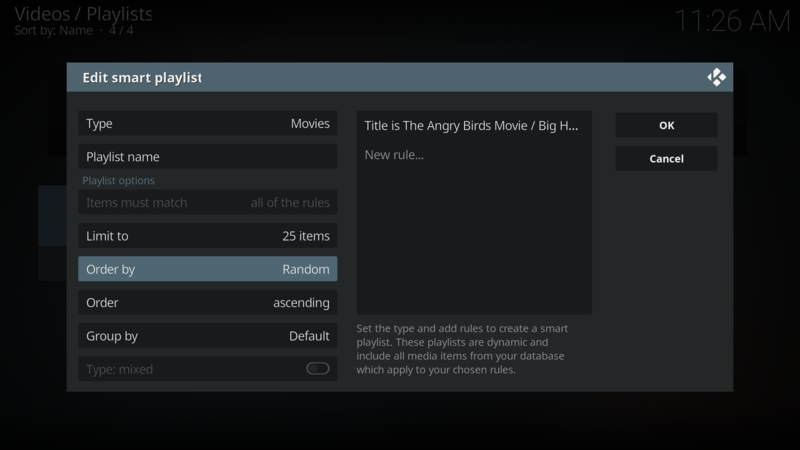 There are many way to create a playlist rule, by title, year, genre, path, sets, etc. For this example I'm just using "Title" and adding each file manually. If you add the files by title you don't need to add a new rule for each title, you can just click "Browse" then select each title you want to add, each highlighted file will be added. Once you have added every file you want in your playlist, click OK, then OK again in the "rule" window. 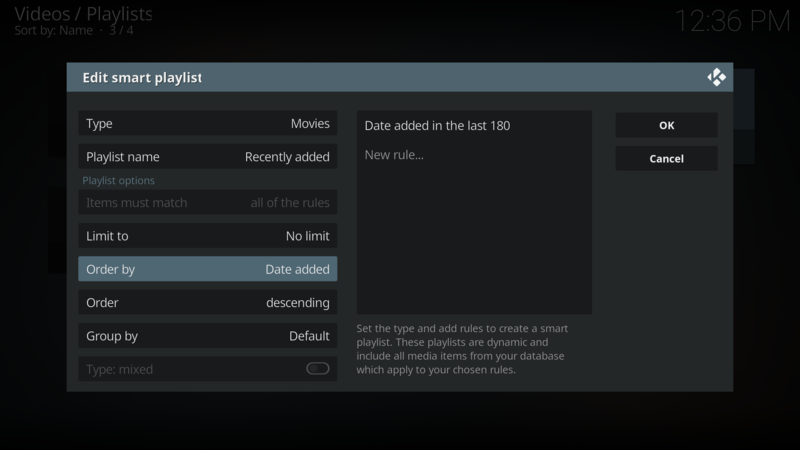 Now you can set limits and how your playlist will be ordered. Once you have everything as you want it click OK to create your playlist. 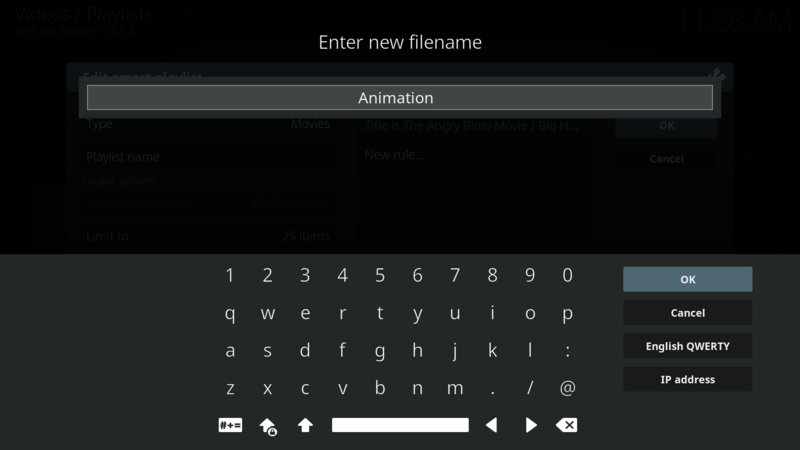 The on-screen keyboard will now display and you will be able to name your Playlist. Now you can go back to the launcher and you should be able to see that your new channel as been added. Enable your channel and you should now see it on the launcher. NOTE: Depending on how many files you have added to your playlist it may take a few minutes before the thumbs get generated after you add your channel. If your Playlist is static (one that does not ever change) the data for the "Channel" will also never change. 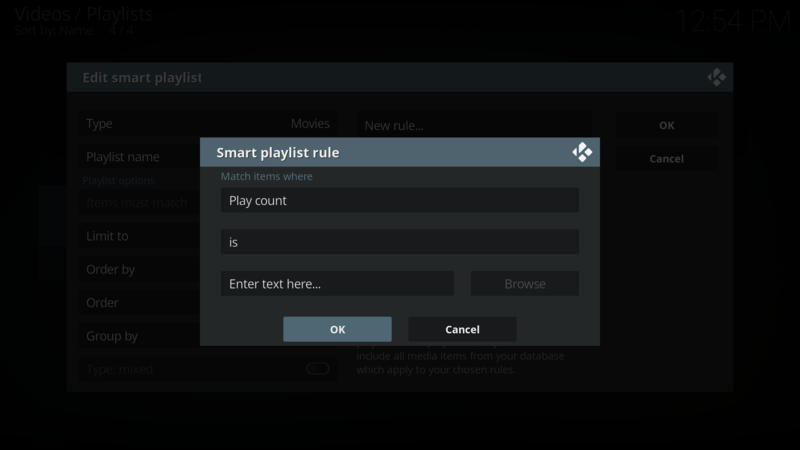 However, if you create a dynamic Playlist by either Rule or by Order state (i.e. Random ordering) the "Channel" will periodically update to reflect those changes. Channels are limited to only 20 thumbs. NOTE 2: The new launcher can be a little flaky about adding channels or populating the data. This is not just limited to Kodi. If you have issues, first make sure that there's nothing wrong with your playlist. If it's OK, try removing the channel and then add it again. You can also try doing a reboot, Settings > About > Restart. If all else fails, try clearing the data for the launcher. Settings > Apps > Android TV Home > Clear data. There doesn't seem to be a magic bullet to make channels or the channels data to appear, you may have to try different things or a combination of different things, but it will eventually work. Creating a Recently Added movies channel. 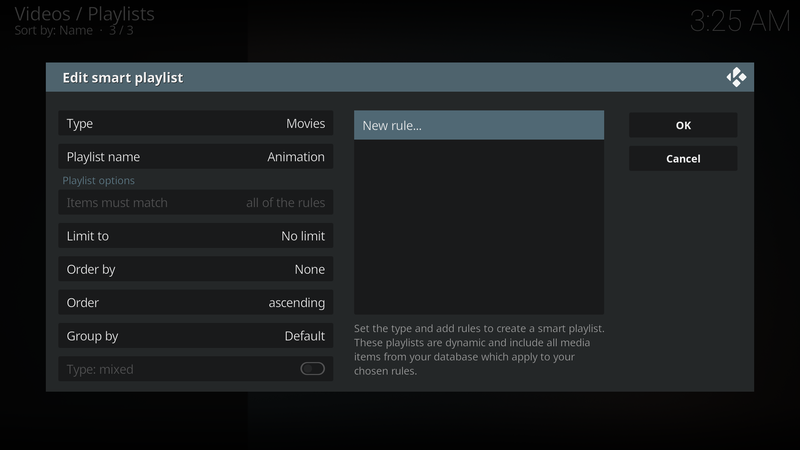 As above, go to Videos > Playlist > New smart playlist.... select Type: Movies and then create a New rule. For this rule you'll need to select Date added and in the last. In the text box type in the number of days you want to go back for when a file was added to the library. This will make sure that the most recently added item is displayed first. Now select OK and name your playlist. Creating a Random Movies channel. 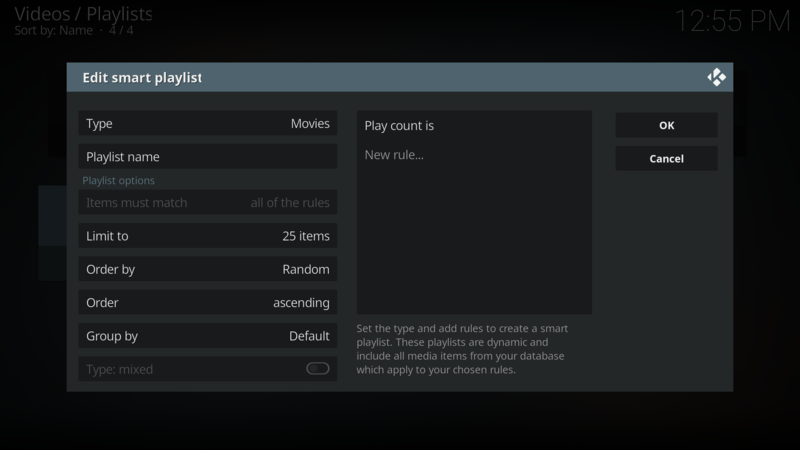 You should now be able to go back to the launcher and add each Playlist Channel. 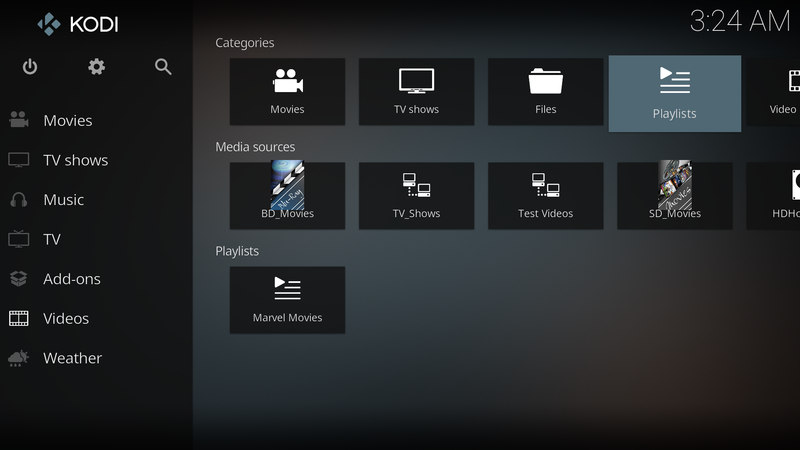 I was going to do a guide for adding TV Show Episodes, however due to some compatibility issue with Kodi's metadata and the Android TV Home launcher that got nixed. 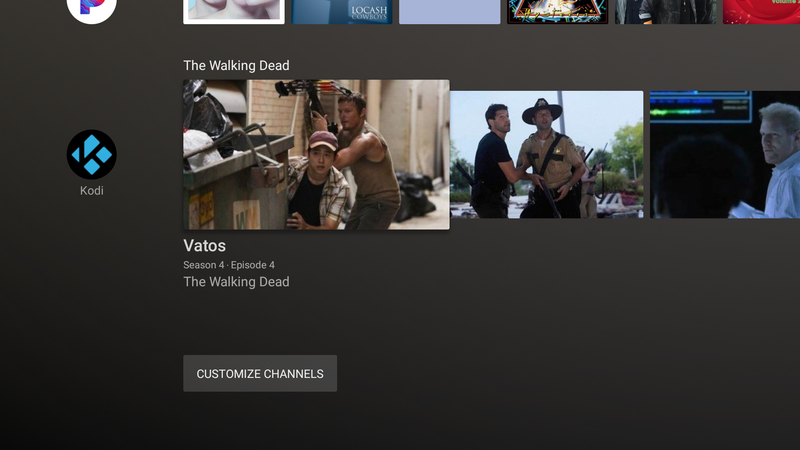 It seems that when you add a playlist for episodes the launcher doesn't pick up the correct Season #, rather it's using the Episode # for both Season and Episode. This has now been fixed in the 6/14/52018 build and Season shows the correct info. 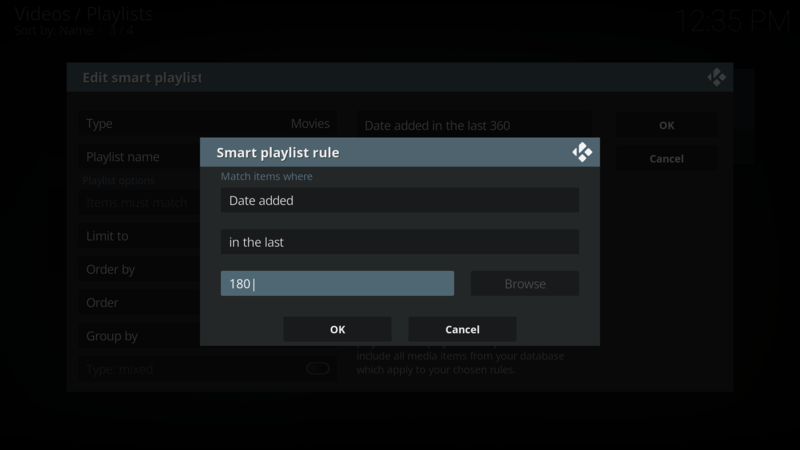 If you have already added a TV show playlist you will need to remove it then add it again after updating Kodi. Is it possible to do this with Favorites? Some of my items are things like links to youtube for specific videos, etc. After more than 6 hours no thumbs were generated? After Oreo update for Nvidia Shield Android TV I am very tempted to upgrade Kodi 17.6 to Kodi 18 Leia (although my beloved Eminence 2 skin is not available yet for this version). Is it possible to create smart playlist with next TV show episode (not random one unplayed)? (2018-06-12, 09:59)arzaz Wrote: After more than 6 hours no thumbs were generated? My first two playlists took about an hour to generate thumbs, but my third one for 'recent movies' (following @Tinwarble's guide above) still hasn't generated 24 hours later. (2018-06-12, 03:09)seiks Wrote: Is it possible to do this with Favorites? Some of my items are things like links to youtube for specific videos, etc. No, it has to be a playlist. See the "Note 2" in the first post. As I state, there's no magic bullet, you may have to try a few things to get them to display. (2018-06-12, 10:45)graviphoton Wrote: Is it possible to create smart playlist with next TV show episode (not random one unplayed)? Maybe, it's not something that I've attempted. I'd have to look into it when time permits. For those having issues getting the channel data to display, here are something you can try. 1. Remove the channel then add it back. 2. Remove the channel, Go into Kodi and delete the playlist. Go back to the Home screen and make sure the channel is removed from the "Customize channel" list. 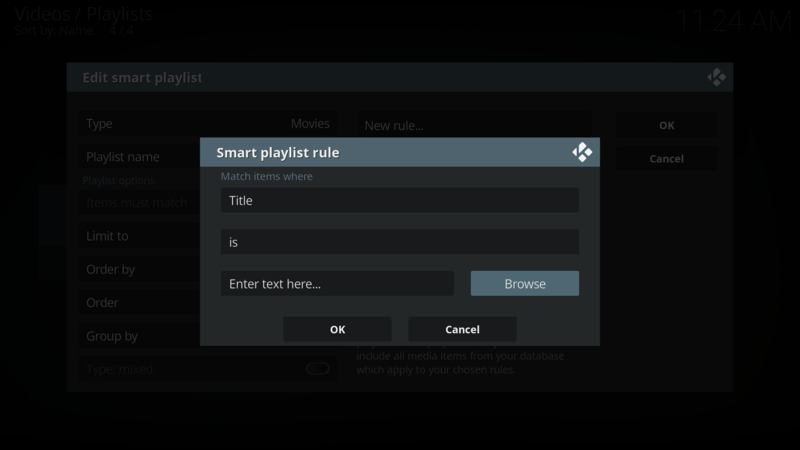 Go back to Kodi and create the playlist again (make sure the playlist has created correctly) and then add it back as a channel. 3. Remove the channel, then go to Settings > Apps > Kodi and clear cache (not data). 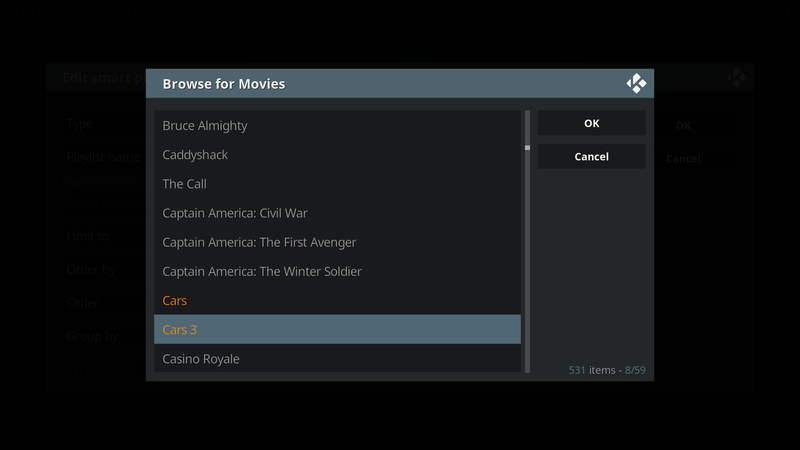 Open Kodi , add the channel again and then see if the data is now populating. 4. 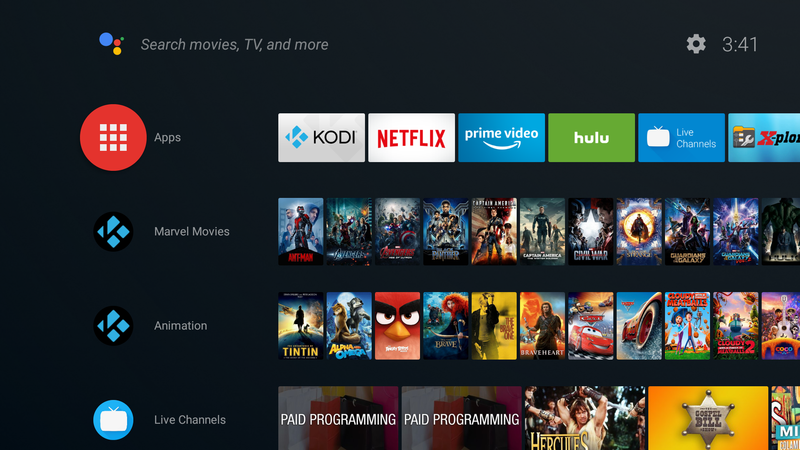 Go to Settings > Apps > Android TV Home and clear the data. Again, adding channels and getting it to display thumbs can be flaky. Sometimes it will work without issue, but other times it may take some trial and error to get it working correctly. It will eventually work though. For reference, I had a lot of issue with Plex and Pandora. Plex wouldn't even give me a channel to add and it took trying everything to get that to show and even when it did it only displayed 1 thumb, it wasn't until days after that it displayed more (just seemed to happen on it's own). Pandora would add the channel but not display any thumbs, and again it was days later that it started displaying thumbs. (2018-06-12, 10:45)graviphoton Wrote: Very good guide, thanks. Ok, so I looked into this and there is a way to do it, though it may not be what you're looking for. You need to explain exactly what it is you want to do. EDIT: See the 3rd post. It is what most of us intuitively expect from Play Next channel for series - list of episodes for started TV shows, one episode per show and exactly the next one after last watched episode of this show. Something like Continue Watching on Netflix (if I rememeber correctly as I tested Netflix only for limited time). I think this is the main goal Google aim - aggregate content from all aps to home screen and avoid searching or listing in app itself as much as possible so user can easily start consuming content. (2018-06-07, 17:39)Tinwarble Wrote: TV Shows. The image above should show Season 1 Episode 4, but shows Season 4. Unfortunately I'm not sure why this is happening, but you should be aware that if you add an episodes playlist it will show the wrong info. No it is not what I am looking for. But thanks for trying to help, I really appreciate it. Yesterday I jumped to Kodi 18 (latest nightie) I am eager to test and play with abilities of new version (my wife is not so happy I broke her rutine, interface is different and not all is working as it should). (2018-06-13, 08:08)graviphoton Wrote: It is what most of us intuitively expect from Play Next channel for series - list of episodes for started TV shows, one episode per show and exactly the next one after last watched episode of this show. Something like Continue Watching on Netflix (if I rememeber correctly as I tested Netflix only for limited time). Well, what we expect and what we get are sometimes 2 different things. 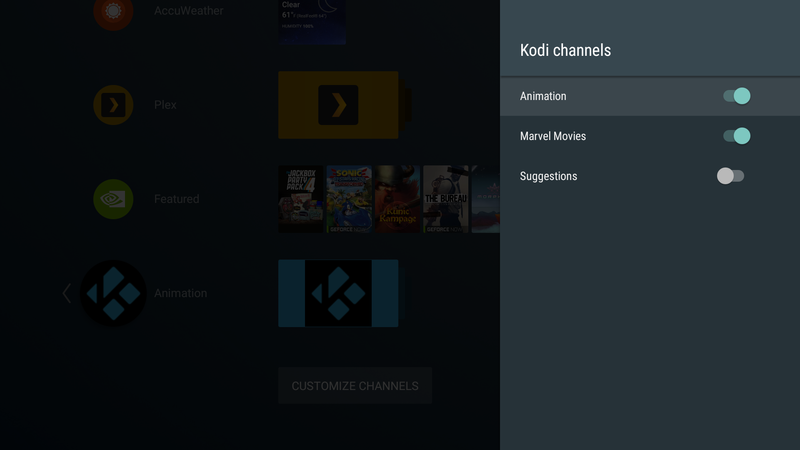 As we no longer have an Android maintainer, we are lucky that things work as they do and Koying added these features to Kodi before he left. (2018-06-13, 08:08)graviphoton Wrote: No it is not what I am looking for. But thanks for trying to help, I really appreciate it. Yes, I know that's not what you were looking for, I posted that as a general post to show that currently it doesn't work as it should. I was working on adding episodes, but since you can't tell which Season the episode belongs to it make it useless. Until that is worked out, there's no reason to go any further. (2018-06-13, 08:08)graviphoton Wrote: Yesterday I jumped to Kodi 18 (latest nightie) I am eager to test and play with abilities of new version (my wife is not so happy I broke her rutine, interface is different and not all is working as it should). The UI (skin) should be mostly the same going from 17 to 18, there are a few changes in Estuary, but it should be mostly the same, unless you were using a different skin. Exactly what isn't work right? Not sure what you wanted me to see in those images, especially since the first 2 are my screenshots (someone just modified the 1st for the 2nd). As a matter of fact, all my Oreo screenshots. You can't combine 2 playlists, not as a channel, and what you are looking to do probably can't be done, at least not the way you expect it to. 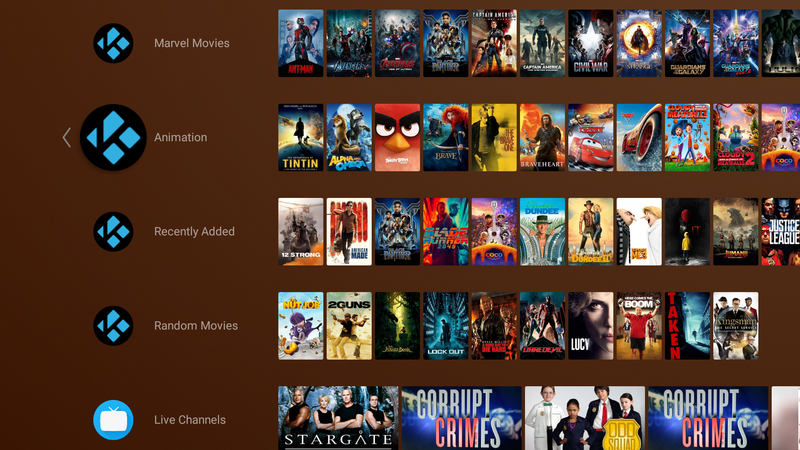 Netflix for example does things differently, they show what's queued up. You can do that by adding a Episode type, and then using "In progress" as the rule. This will give you 1 episode per TV show, but the episode has be in progress. Yes I have used my beloved Eminence 2.0 skin which is not yet supported in Kodi 18 and was automatically disabled after first run. (2018-06-13, 08:54)Tinwarble Wrote: Exactly what isn't work right? The biggest issue I have is generating false movies items with the same title when updating library. These entries start TV shows episodes which are not in movies folder/source (very strange). Cleaning library removes these bogus entries but after updating library they are back. I spent almost hour finding what is wrong but I didn't come to any conclusion yet. It needs further investigation. (2018-06-13, 08:54)Tinwarble Wrote: Not sure what you wanted me to see in those images, especially since the first 2 are my screenshots (someone just modified the 1st for the 2nd). As a matter of fact, all my Oreo screenshots. It is only visual illustration for what I wrote. Yes I used your screenshot for showing how much space could be gained (for my comment in SHIELD Preview Program forum). If it is not ok for you sorry I will replace it with my own. (2018-06-13, 08:54)Tinwarble Wrote: You can't combine 2 playlists, not as a channel, and what you are looking to do probably can't be done, at least not the way you expect it to. Netflix for example does things differently, they show what's queued up. You can do that by adding a Episode type, and then using "In progress" as the rule. This will give you 1 episode per TV show, but the episode has be in progress. I think I will use last watched TV shows channel then (until better solution emerges). It jumps directly to series list which is significant improvement over old way. There's always a chance, but I wouldn't count on it, at least anytime soon. (2018-06-13, 11:01)graviphoton Wrote: Yes I used your screenshot for showing how much space could be gained (for my comment in SHIELD Preview Program forum). If it is not ok for you sorry I will replace it with my own. Nope, don't care, you can use them if you want. Just pointing out that I'm familiar with how everything looks. Still not sure what you were using them to illustrate though. (2018-06-13, 11:01)graviphoton Wrote: I think I will use last watched TV shows channel then (until better solution emerges). It jumps directly to series list which is significant improvement over old way. Keep in mind that you can set multiple rules. You may not be able to get exactly what you want but you may be able to get close enough using more than one rule.